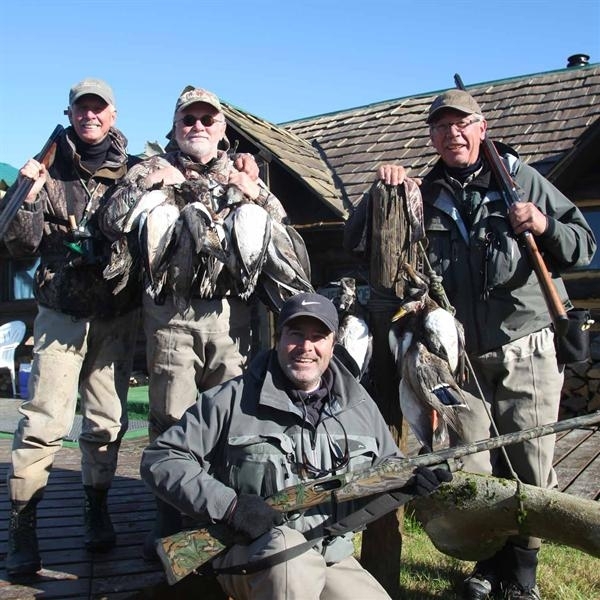 If you are a duck hunter as well as a fisherman, a super combination salmon/waterfowling adventure can be experienced after September 1, opening day of the Alaska duck season. 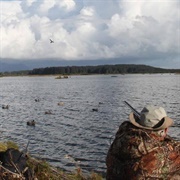 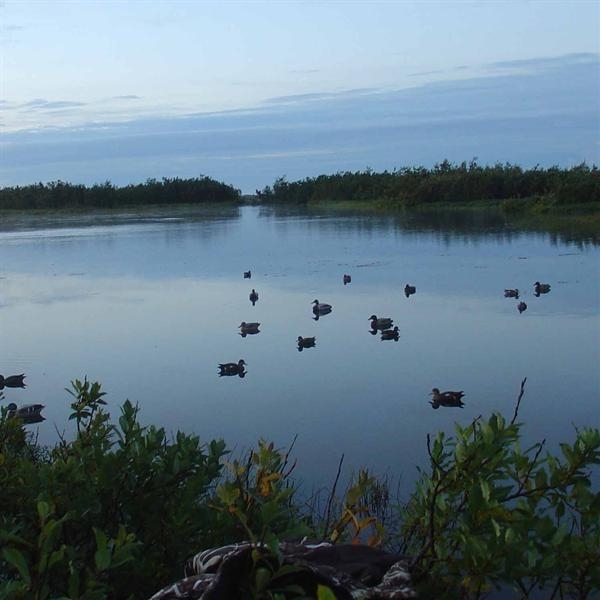 There is no extra charge for waterfowl hunting. 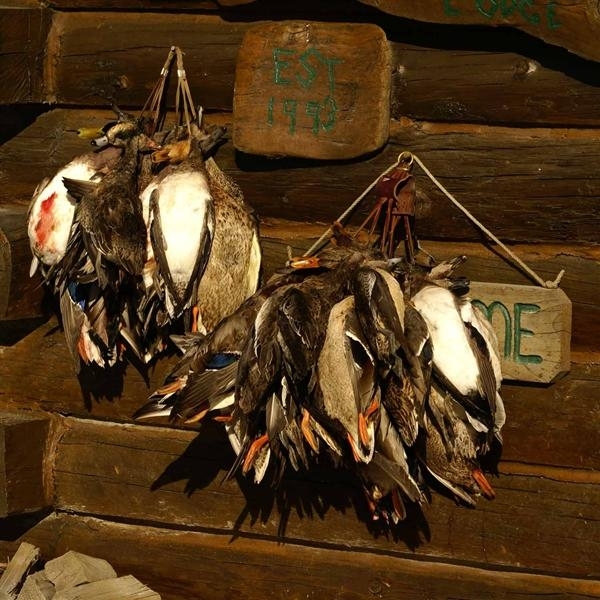 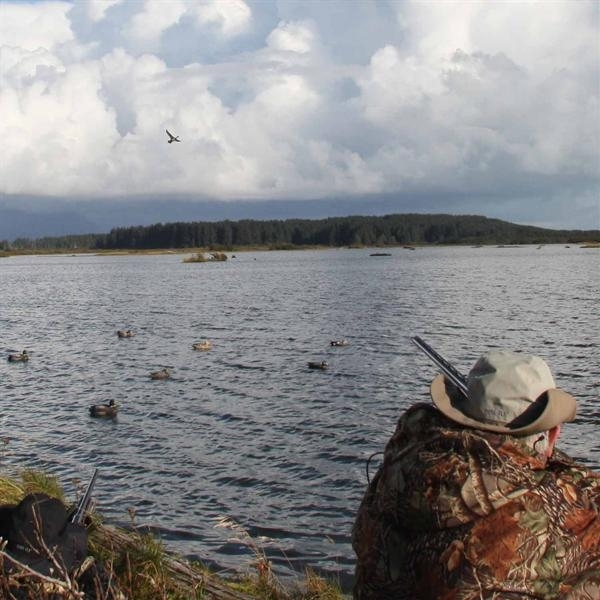 We duck hunt over decoys in the vast marsh that surrounds the Tsiu River system. Predominant species are mallard, American widgeon, teal and pintail. 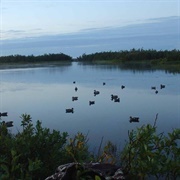 Typically we hunt waterfowl in the mornings and fish the remainder of the day. 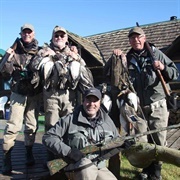 The owner, Charles Allen, is an avid duck hunter and, in fact, did his post-graduate university work in waterfowl biology.